After a heartbreaking chapter in 2017, we became so eager to fill the new year with brand new memories. In fact, even before ringing in 2018, we already decided that we should try our best to discover the world together while we're still young, but without drilling a huge hole in our pockets. So last year, we saved up a ton and even skipped a vacation to the Philippines to make our travel goals possible. 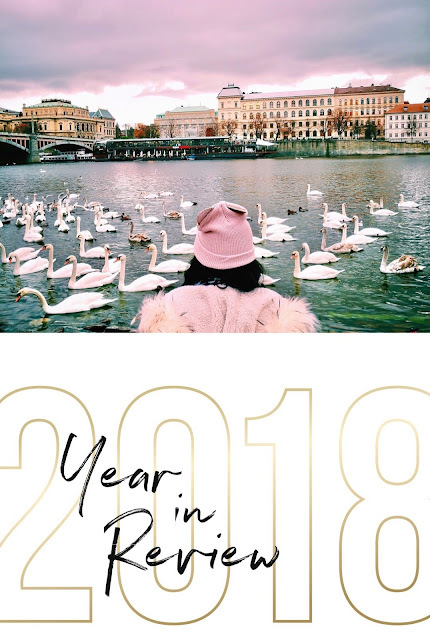 It's not at all comparable to the precious thing we've lost in 2017, but since travelling is something that has always given us joy, we felt like it's what we needed — an escape or some sort of distraction — to heal and gain a fresh perspective in life. For our Easter break, we went to a short but meaningful trip to the Pink City of Yerevan in Armenia. Holy Week is a big thing in the Philippines. Not only is it a non-working holiday there, but majority of the Catholics also do "Visita Iglesia" — a practice back home where devotees visit and pray to seven different churches from Maundy Thursday till Easter Sunday. As the first ever Christian nation, visiting Armenia really made our “Visita Iglesia" extra special with all its many churches and historically significant religious sites. Another highlight of our trip? Experiencing snow again after so many years up the mountains of Aragats, which was such a refreshing treat. We seriously felt like kids again going on the most fabulous road trip ever! We also enjoyed hosting some of our friends and families who visited Dubai last year. It somehow relieved our homesickness and have made us feel like wide-eyed tourists in this country all over again. Our close encounter with the charming penguins of Ski Dubai in Mall of the Emirates and the sharks inside the Dubai Aquarium in The Dubai Mall for the very first time, and also our multiple visits to the Grand Mosque in Abu Dhabi were some of the highlights of our adventures. Probably the most expensive, but also the most fun was our UK vacation in June. We spent more than two weeks exploring the vibrant London scene, mysterious rocks of Stonehenge, Warner Brother's Studios, and also going on a fun weekend trip to Edinburgh in Scotland — the birthplace of Harry Potter. London easily became our best and most favorite discovery ever. This city totally captured our hearts with all its food markets, candy-colored houses, museums, lively pubs, stadiums, and musicals. There's so much to do and enjoy! Watching our first London West End show (Wicked) was definitely one of the highlights. It felt magical — so magical that we even went back for a second visit to London in September which proved to be equally amazing. Planning to visit again once the renovation of the famous Big Ben is done, so it wouldn't be covered with scaffolding next time we see it. One of the most utterly wonderful places we visited this year was Istanbul. It's so beautiful, there's just no words! We spent barely five days there in September, but it honestly felt so short and didn't give justice to the many things Istanbul can offer. I enjoyed staying in Ambassador Hotel, which was situated at the heart of Sultanahmet because we were just a few steps from Istanbul’s beautiful landmarks and must-see's like the Blue Mosque, Hagia Sophia, Basilica Ciscern, and Topkapi Palace. Just a little bummed that we didn’t get to experience Capadoccia’s famous hot air balloons due to time constraints, but atleast we now have the perfect excuse to go back there in the future. Hopefully soon! My birthday this year was nothing short of a fairy tale after celebrating it in Prague early this month. The authentic vibe of this bohemian city is truly on a league of its own! It's definitely one of the most picturesque cities we've ever visited. The timing of our trip couldn't be more perfect too because all the Christmas markets and celebrations were in full swing when we were there. Prague was so alive and insanely festive! There's something so special about Vienna that just stays with you. It's been more than a month now since our visit, but I still find myself smiling silly whenever I think about our short trip to Vienna. This sophisticated and charming city set the bar high for us. It is beyond perfection with its exceptional mix of the old and new. I’m very grateful too that we got to meet and bond with some of my husband’s family who were so nice to tour us around Vienna. It made our final trip this year all the more special and meaningful. When the thick snow fell during our last night in Vienna while we were exploring the charming streets of Stephansplatz, I knew right there and then that Vienna will forever be one of my favorite memories with my husband. It was an early white Christmas dream that came true, like one of those pretty tiny Christmas villages. I’m not one to make plans, but I have a feeling that 2019 will be an even better year for us (I’m claiming it!). Just thinking about the many places in our travel goals are making me feel super excited already. Can't wait! Cheers to more travels and Happy New Year to all of us!